If you are a single mom, you know things could get tough. You feel a weight of responsibility on your shoulders. You’re caught in a web where you need to work, take care of your kids, and also get an education. You know it’s not just about you; it’s about the future of your children. Whatever the circumstances, single moms are strong willed and have the determination to turn things around. Tough situations have only made you tougher to meet all the challenges head on. While you see a plethora of problems scattered all around you, there is a way out to get a better life for you and your children. No one can deny the power of education. But education has not been easy for single moms in the past. You wonder who will look after your kids while you take classes at college. You cannot afford babysitters and being a single parent means your children need you more than ever. What can you possibly do in such circumstances? Will you trade family care for education? Will you give up education and compromise on your future? Well, both options are just not practical for you! But thanks to technology, you don’t need to choose the lesser evil. Now your education and household responsibilities can go side by side. You don’t have to bow down to your circumstances. All you need to do is seriously consider getting an online college degree that matches your aptitude and offers you a well-paid career. The first step to acquiring education is to do some research at your end. Try to do a little soul searching and look for an area that you would love working in. Be it education, engineering, or nursing – pick something that you really want to do! Once you’ve listed down careers that you’d love to be a part of, do some research on prospects. Look for careers that are high paying and are projected to grow at a high rate. Don’t worry about the information on careers. You could easily find out information on salary and career prospects with The Bureau of Labor Statistics (BLS). This is one free and reliable source to find career information. Once you get to find a career that meets your financial and personal needs, start searching for an online degree. Not every online degree is right for you. You would need to be very careful about the accreditation of online programs. Only go for programs that are accredited by a recognized accrediting agency. If you are unclear about the accreditation of a school, make sure you contact the accrediting agency to find out if your online school or degree program is listed with them. Accreditation matters because you would need quality education and employers hire graduates with accredited degrees. You can’t take a chance with your degree; the risk is just too great! Once you have selected an accredited program of your choice, you are good to go! Just make sure you have a computer and a reliable internet connection to keep your online education going. 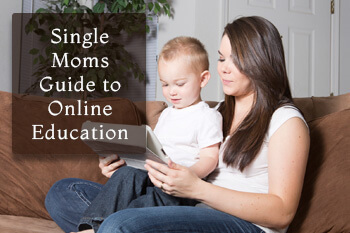 You might be wondering why single moms only need to get online education. Your question is quite valid and you are likely to be convinced by the answer. One of the major factors why online education is best for single moms is that it is relatively cheaper than traditional education. You can find a variety of accredited degrees with different tuition costs. That’s not it. 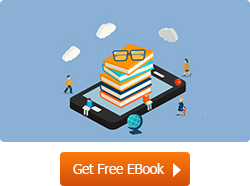 Online education will not be hard on your pocket for a number of other reasons as well. Studying at home or anywhere you find convenient means that you would be saving on your travelling and fuel costs. If you add up all the money you would need for travelling, it would make a big sum. Other than that, there is a possibility you may not need to buy textbooks or notebooks. Most of the reading material would be available online and provided by your online school. Keeping in mind all the financial benefits, an accredited online degree is an opportunity that single moms should take advantage of. It is true that single moms have so much on their mind that their ability to concentrate suffers. Even in an on-campus class you may find it hard to pay attention, because you would worry about all the chores waiting for you at home. This is another reason, why online education suits single moms. You don’t have to miss your classes or zone out during lectures. You could study at a time when your mind is calm and your surroundings are quieter. Even if you have to take your online classes with the kids screaming, you can always go back and review your lectures. Online classes have the benefit that you cannot miss out on any kind of learning, in spite of your busy schedule. The flexibility and convenience of online programs helps keep up with your life. You take care of your kids single handedly and shower them with all the possible attention, but you are afraid that the additional responsibility of college education may affect your kids negatively. Luckily, online education won’t let you neglect your kids. Your work schedule, home responsibilities, and education will all fall into place. You could take your online classes while keeping an eye on your kids. You could even multi-task while taking online lectures. Besides, you could study at your work place in your free time and in your free time when with children. Online education would not hinder the quality time you spend with your kids. In fact, your education will lead to a better quality of life for you and your family. Are you stuck in a dead end job that leaves you burned out? You have little chance of promotion or switching that job because you don’t have a college degree? Many single moms are going through a similar situation, where they are working hard to make their ends meet. If you are one of those moms, you would need to seriously consider getting yourself enrolled in an online degree program. Getting an advanced degree will open up many career opportunities for you. You can get a promotion in your current job or make a switch to get a better paying job. Besides, there’s a strong correlation between advanced education and a high salary. Better qualifications can work wonders for you! You can afford better things for yourself and your family. Plus, you can never undermine the self esteem that comes from getting better education and pursuing a career that you enjoy. Not all single moms can afford tuition for online education. You may find cheaper programs online, but still you need to set certain amount aside for your education. It is hard to make tuition payments on top of your child’s expenses. Luckily, single moms have the opportunity to make use of scholarships, grants, and loans to complete their education. Most grants, loans, and scholarships also cover online tuition payments, allowing single moms to complete their education with convenience. You can apply to private and national agencies for scholarships and grants. With financial support, you would have the opportunity to get quality education and stay free from any additional financial burden. 8. Become an Inspiration for your children! Do not forget that your children will always look up to you for your hard work and determination. Your education will be an inspiration and a life changing experience for them too. You could leave a lasting impact on the lives of your children by giving them a better standard of living and an excellent example to follow. Your education could motivate them to do better in school and get higher education. You would be no less than a super-hero for your kids and there’s no bigger achievement than being an inspiration for your own child. Online education could be a single mom’s best friend. If you feel the need to bring about positive changes in your life and give your kids a better standard of living, opting for online education would be a wise choice. Your determination and proactive attitude can go a long way. So, keep a positive attitude and feel free to share your education experiences here!